Is a fir native to Georgia and the south Caucasus, our trees are mainly grown from the favoured Ambrolauri Region. Seedlings are transplanted into our equally rugged Scottish soil and then tended for some eight to ten years before sale. 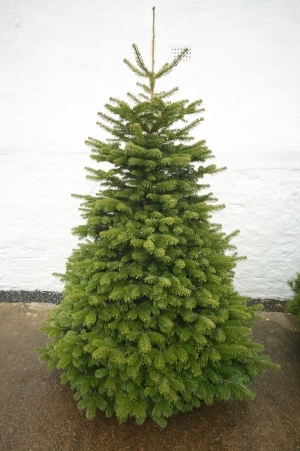 Europe’s leading “non-needledrop” Christmas Tree, the Nordman constitutes a high percentage of our overall production. Our winning BCTGA Grower of the Year Award for 2012 happened to be one of our Nordman and it graced the pavement of No10 Downing Street, London, making it one of the most photographed trees in the country.